City Areas of Practice: Austin, Round Rock, Leander, Cedar Park, Westlake, Lakeway, Georgetown, San Marcos, Wimberly, Kyle, Buda, and Dripping Springs. County Areas of Practice: Travis, Williamson, and Hays. Specialty: Divorce, Child Custody and Modification, Alimony / Spousal Support / Maintenance, Domestic Violence, Paternity, Grandparents’ Rights, Prenuptial Agreements, Adoption, and Attorney General Cases. Attorney Carolyn H Young is a graduate of Washington & Lee University with a Law Degree from the University of Texas School of Law in 1992. 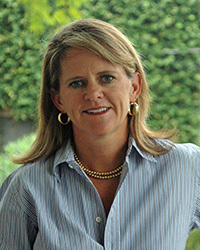 Carolyn Hopper Young has been a Family Law sole practitioner in central Texas for more than twenty two years. While delivering highly competent, diligent, and ethical representation, Carolyn provides the personal attention required to meet each client’s individual needs and concerns. Her goal is to offer comfortable access to her clients during a difficult time while ensuring they receive dependable and honorable legal counsel. Carolyn H.Young grew up in Midland, Texas and received her undergraduate degree from Washington & Lee University.